Sailing Boats Kids Clear Umbrella. 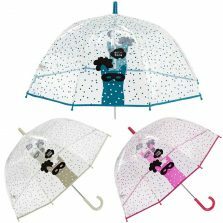 Infant Umbrellas designed for Kids! Our brand new range from Ezpeleta design house has some cracking bimini’s for your little deck hands. 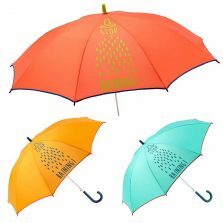 Choose from our range of 3 colours; Peach, Baby Blue and Yellow. 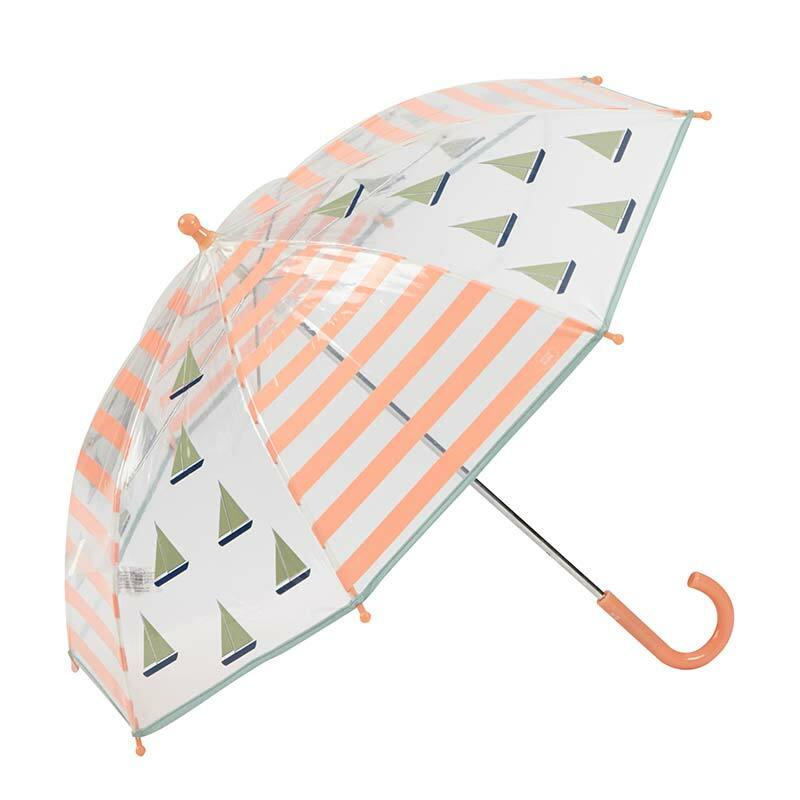 New to Umbrella Heaven from Spanish design house Ezpeleta. 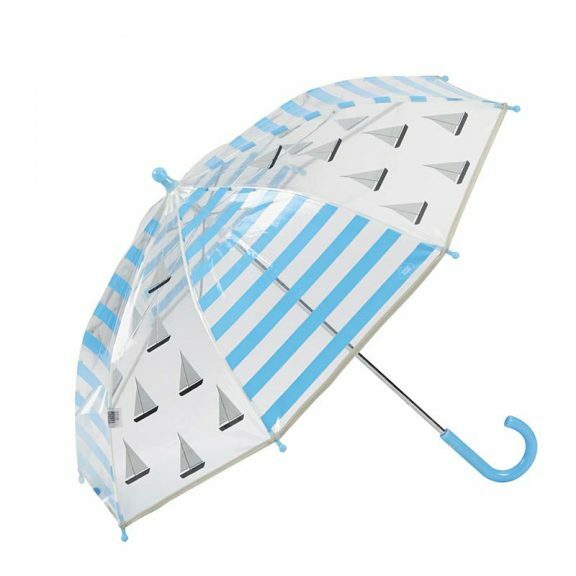 These are our smallest umbrellas in stock – perfect for your little nipper’s. 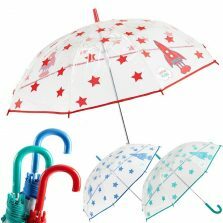 Don’t abandon ship because it’s raining outside, let the kids carry their own umbrella and splash in puddles instead. 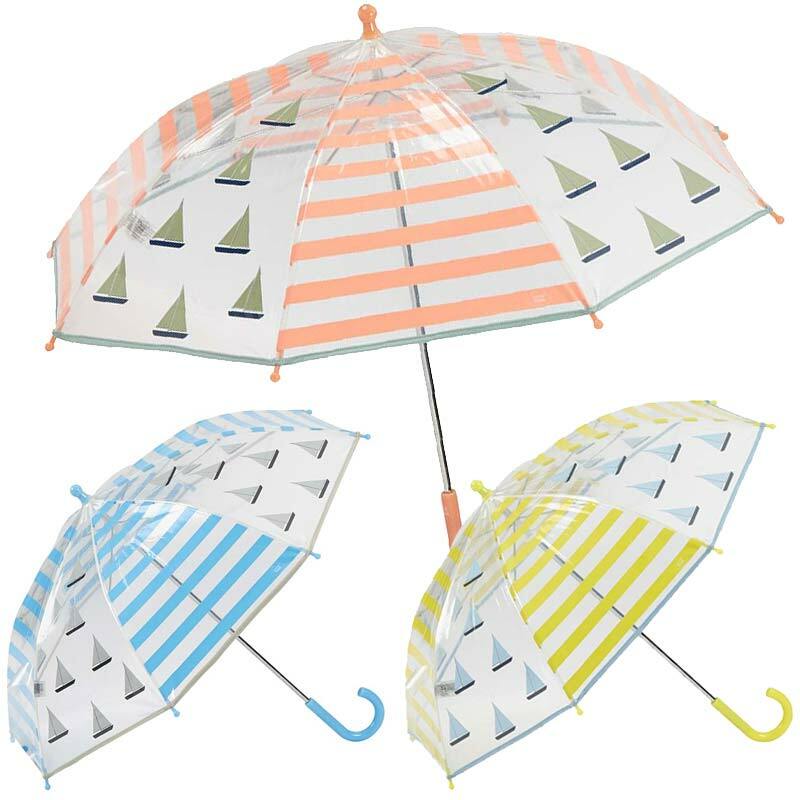 These adorable sea themed brollies come in 3 sorbet colours; Peach, Baby Blue and Lemony Yellow. 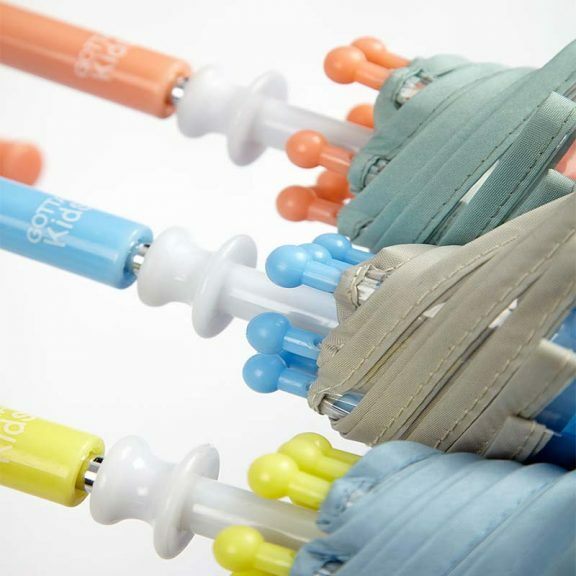 Designed with little fingers and child safety in mind. They have a smooth safety runner which slides easily along the chrome metal shaft. And there is no sharp catch to cut fingers on. The colour matched spoke tips are rounded for enhanced safety. 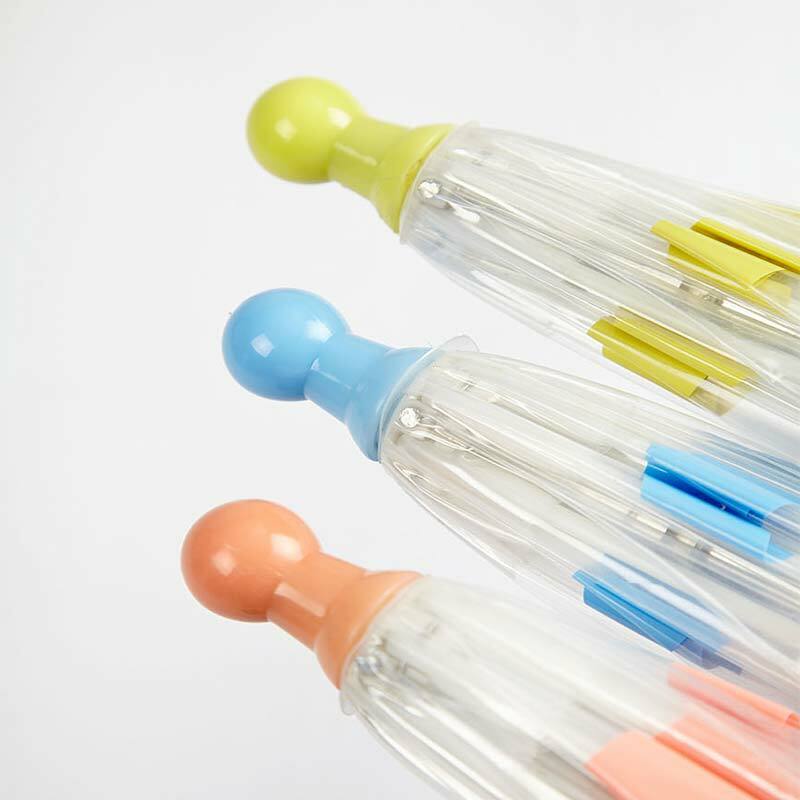 The end tip, the crook handle and the round spoke tips are colour coordinated to match. Ezpeleta have a keen eye for detail, if you look closely at the press stud fastened canopy tie-wrap, you’ll find a little place where the kids can write their name and they won’t get mixed up at school! 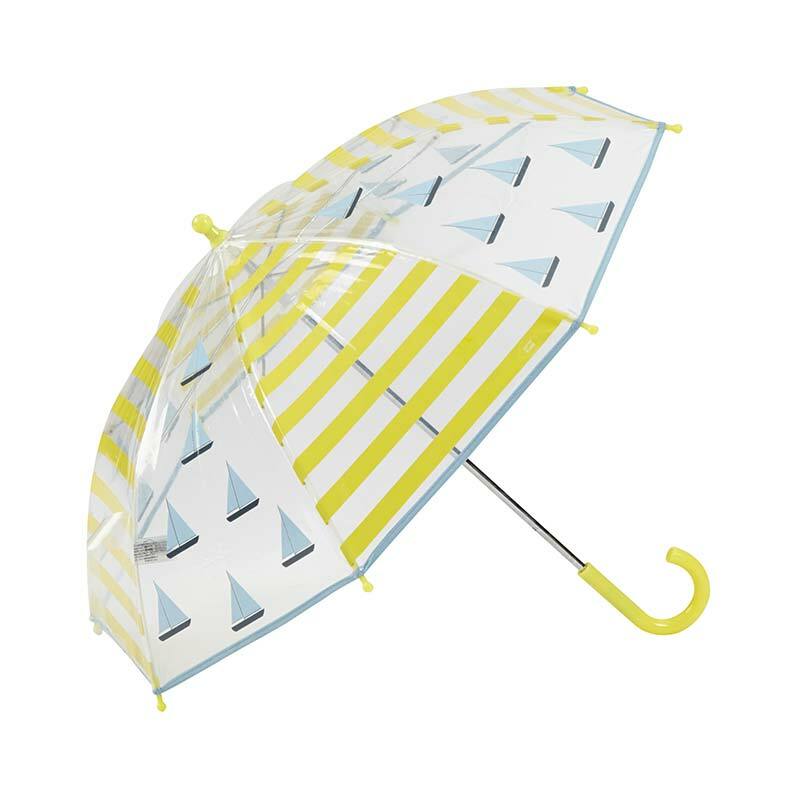 We’ll have your little ones looking ship-shape and Bristol fashion in no time! 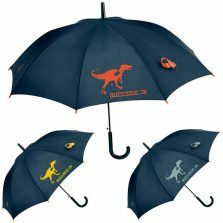 Click here to see more kids umbrellas!